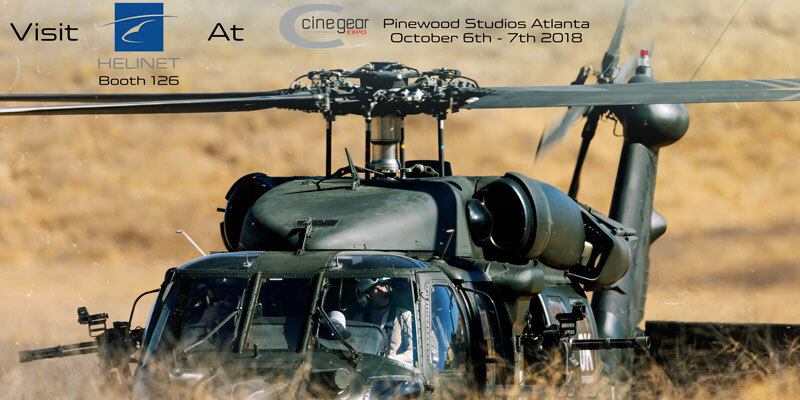 From October 6th to October 7th, you’re invited to visit Helinet’s Production Group during Cine Gear Expo Atlanta at Booth 126 at Pinewood Studios in Fayetteville, GA! At the Helinet booth, you’ll have the opportunity to see the SHOTOVER F1 Camera system, DJI Heavy Lift Drone, as well as the GD40 Heavy Lift Drone. With a global network of helicopter partners and one of the largest fleet of single and twin-engine turbine helicopters on the West Coast and a production office in Atlanta, Helinet has been serving the film production community for over three decades. Helinet’s Production Group offers a full complement of aerial solutions for productions including small to heavy lift drones, high-performance gyro stabilized camera systems, and an array of sought after camera and lens packages. Led by renowned aerial coordinator and motion picture pilot, Kevin LaRosa II, Helinet is recognized as the go-to provider of turn-key aerial production services.